Midtown Atlanta is no stranger to Southwestern cuisine. Between Moe’s, Willy’s and Chipotle, Tech students have a myriad of options to choose from when it comes to burritos. In the modest strip mall on the corner of Hemphill and 10th Street, a new face has emerged in the world of affordable Mexican food: Tech Taco. Although the restaurant’s appearance from the outside may not impress potential customers, the interior paints a very different picture. Tech Taco radiates a very modern feel, and it is spacious enough to accommodate even the busiest of lunch rushes, while still leaving each table with a comfortable amount of elbow room. TV monitors create a casual atmosphere, and the restaurant’s cleanliness is conducive to an all-around more enjoyable dining experience. The restaurant’s food itself brings more to the table than hungry customers would expect from a strip mall burrito joint. While the Mexican cuisine may lack the strong flavor of the ever popular Moe’s chain, the subtlety of each of the included ingredient allows them all to be experienced without being overpowered by the meat. The restaurant’s white and yellow rice, rather than act in the usual role as a ‘filler’ of sorts, each brings its own flavor to the meal. The beans, on the other hand, are no different from those one would find in a typical southwestern grill. However, the choice of pinto or black beans, much like the two types of rice, have a significant impact on the on the final taste of the burrito. The strong flavors of the rice and beans are not to say that the main choice of meat is lacking: if anything, it is the best part of the meal. The meat certainly serves as the focal point of the burrito, but like a good band conductor, it leaves plenty of room for the rest of the members of the ensemble to show their individual yet complementary merit. Surprisingly, the offered vegetarian burrito also provided a meal that was both filling and flavorful at the same time. While this meat-free burrito is a bit on the lighter side, it definitely has enough substance for it to still serve as an adequate meal for the average diner. In addition to the burritos, the complimentary chips — an aspect of Mexican cuisine that can hardly be overlooked — are another highlight of the meal. They are firm and somewhat bland, descriptors that may make them seem inadequate but actually qualify them as some of the best chips around. These chips know their place in the Tech Taco hierarchy; they aspire to be nothing more than dull vehicles for the queso or for any of the numerous salsas that are available for free. While the chips are enjoyable on their own, they are clearly created with the purpose of carrying something with a more interesting and vivid flavor to your mouth rather than a standalone product. Tech Taco’s free queso was surprisingly different from that of any other southwestern grill in the area. The queso’s taste falls somewhere near Willy’s on the spectrum but with a much cheesier taste. Not only does the queso goes with the chips very well, it also makes an incredible addition to the burritos. The less than stellar placement of sour cream made for a very messy meal as well as a structurally unsound burrito. This is an issue that will almost certainly be fixed with time; however, this currently less than optimal layering of burrito ingredients is certainly not a deal breaker. While the food is definitely good, the real selling point of Tech Taco lies in its college-friendly hours. Staying open until 4 a.m., the restaurant encompasses the Waffle House factor: offering tasty as well as filling late night food when there are no other options. With its price range comparable to Moe’s and Willy’s, Tech Taco is by all means quite affordable. 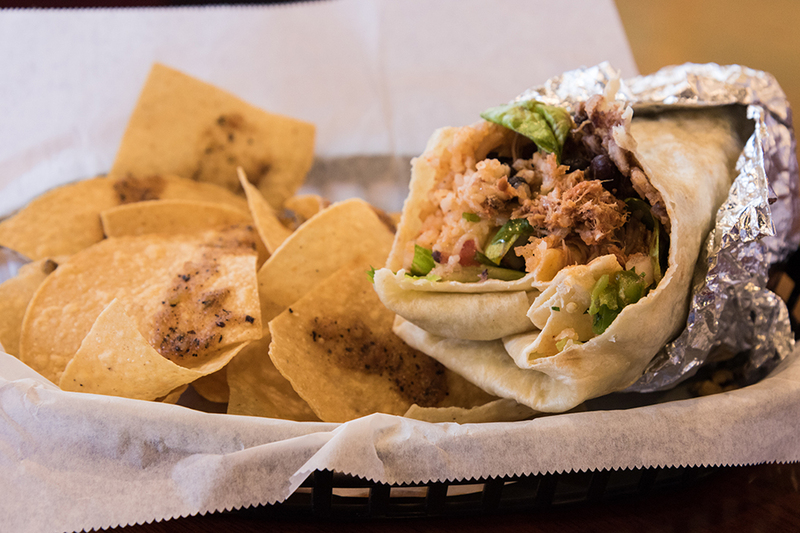 All things considered, 10th Street’s new burrito restaurant is a quality southwestern food vendor which has been found worthy of bearing the Tech name.